"The reply regarding the refusal came a month ago." 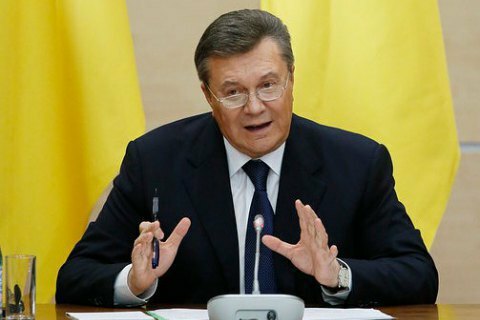 Russia has officially refused to extradite the former Ukrainian President Viktor Yanukovych to Ukraine, the head of special investigations department of the General Prosecutor's Office Serhiy Horbatyuk told at a press briefing on Wednesday. Gorbatyuk noted that the ex-president of Ukraine is a suspect in seven criminal proceedings, and suggested that courts may consider some of them in absentia. On 12 May , the Verkhovna Rada voted in a temporary amendment to the Criminal Procedure Code, which allows to bring Yanukovych to justice without putting him on the international wanted list. After the Revolution of Dignity Yanukovych fled to Russia, where he is hiding from the Ukrainian justice to date.